Angelic Reiki training is given to those wishing to make a deeper connection to the Angelic Realms and to bring about well-being for themselves as well as others. It is given over four levels allowing for each person to progress at a pace which suits them. Beautiful attunements are given at each level by the Angels to create a pure connection to be able to give this wonderful healing with ease and grace. When giving Angelic Reiki you are the connection between the Angelic Realms and the recipient. The Angels work through you to bring about well-being for that person. They do all the work, you are their connection. For the recipient, it is a beautiful experience but you will also find it empowers your well-being. Each level has its own manual with all the information which is given during each workshop. For those who follow this beautiful path, I also offer a monthly Angelic Reiki Sharing Circle, to continue the journey with like-minded people. Details will be given to you at the workshops. Meet the Angels and many of the Archangels who you will be working with. Receive your first Angelic Reiki attunement enabling you to give healing as a channel for yourself and your loved ones. You’ll be taught how to give healing with intention and importantly how to treat yourself. The workshop finishes with a beautiful Angelic attunement meditation. Next dates for this empowering course are Saturday 8th June & Sunday 9th June 2019. The energy exchange for this life enhancing course is £120. Now connect with the Ascended Masters and Galactic Healers who will also work with you to give beautiful healing. You will learn how to give distant healing and multidimensional healing to help release negative issues from the past including past life issues and bring about well-being. Receive your life enhancing second Angelic Reiki attunement and be given guidance on how to use the sacred symbols in your everyday life. 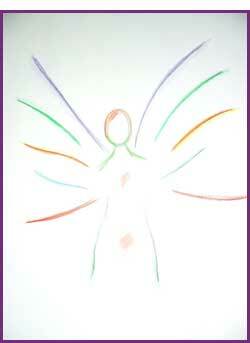 This also finishes with the beautiful Angelic Attunement mediation. The energy exchange for this life enhancing course is £155.00. You will receive your third Angelic Reiki attunement and connect with the Divine Light Beings who will help empower all that you are doing with Angelic Reiki. You will be given the healing with “The Divine Presence” which has the power to heal instantly. You will also create your own beautiful Angelic Reiki Healing Grid and receive your third Angelic Attunement meditation. The energy exchange for this life enhancing course is £200.00. This truly wonderful step on your Angelic Reiki path will give you the tools to be able to pass this incredible therapy onto others. You will receive your Angelic Reiki Master/Teacher attunement empowering you to assist the Angels in all your attunements. You will receive guidance and tuition as to how to be an Angelic Reiki teacher to empower others as well as continuing your own Angelic empowerment. You will be given all information about the manuals and how to conduct each workshop. The energy exchange for this life enhancing course is £250.00. I have been truly blessed to walk this path of an Angelic Reiki Master/Teacher and I thank you for taking the time to read this page. If you would like to also walk this path or have any queries about Angelic Reiki, please do call me on 01730 267286 or email me at sueowen.angels@gmail.com.